PLUS! $10 Arcade Fun Card! Not valid with additional coupons or discounts. 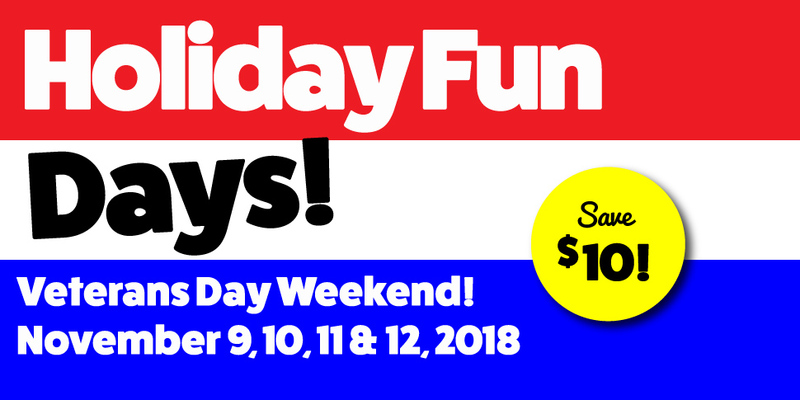 Offered during operating hours on 11/9/18, 11/10/18, 11/11/18 and 11/12/18. 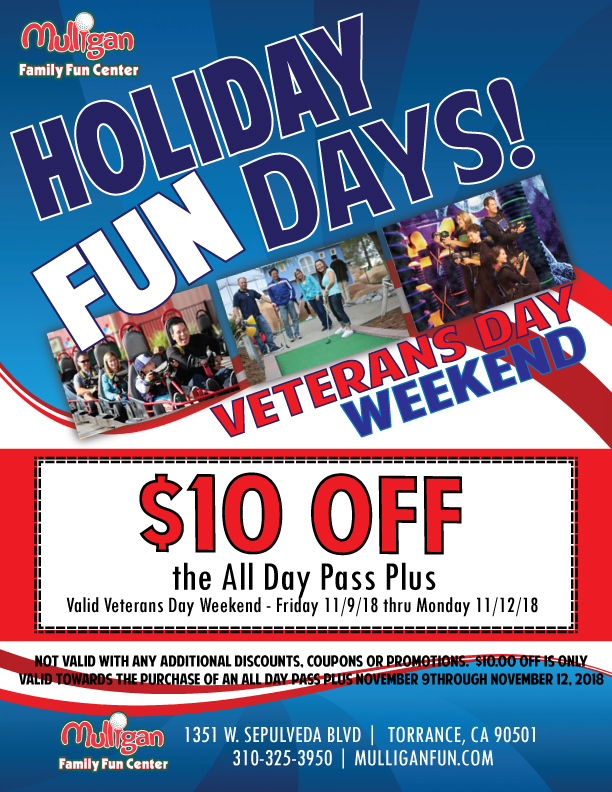 $10.00 off the $41.99 All Day Pass Plus.